Arapahoe Park Racetrack in Aurora is Colorado's only venue for horse racing. Thoroughbreds, Quarter Horses, Arabians, Paint, and Appaloosa race during the track's summer season from May-August. In 2015, the racetrack opens on Saturday, May 22. The racetrack also usually hosts a Kentucky Derby party the first Saturday in May. The dress code at Arapahoe Park is casual, but feel free to wear cowboy hats and boots. No outside food or alcohol is allowed into Arapahoe Park. The track serves concessions such as hot dogs, hamburgers and bratwurst, as well as beer and mixed drinks. Arapahoe Park is open from the end of May through the middle of August. Live racing is held Friday - Sunday with a post time of 1 p.m. and Mondays at 2 p.m.
Clubhouse Admission: Adults $10 for a table that seats four people. Racing programs are $3, and tips sheets are an additional $1. Arapahoe Park is located in southeast Aurora next to the Aurora Reservoir. From Denver, take I-25 south to toll road E-470. Exit E-470 on Quincy Ave (Exit 13) and follow the signs to the racetrack. The minimum bet at Arapahoe Park is $2, and wagers must be done in cash only. Bettors must be 18 and show identification to place bets. Arapahoe Park also offers exactas, trifectas, and quinellas on most races, as well as superfectas and daily doubles on selected races. The general public may be more familiar with thoroughbred racing, which is exemplified by horse races such as the Kentucky Derby and the Belmont Stakes. Thoroughbreds run races measured in furlongs around an oval track, and purses for thoroughbreds are generally higher. 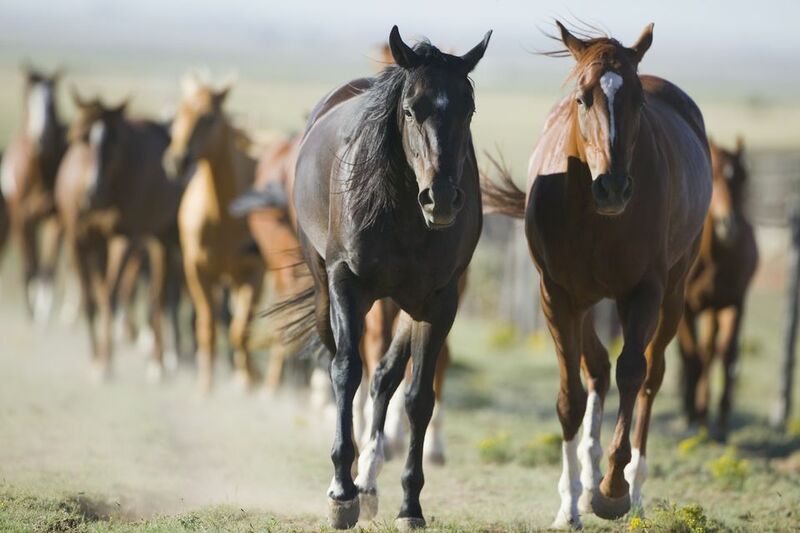 Quarter Horses are a smaller breed than thoroughbreds and race a quarter of a mile or 400 yards. The shorter distance means most Quarter Horses run straight without any turns around the track. Most of the Quarter Horses racing at Arapahoe Park were bred in western states such as Colorado or Texas. What's a Good Picnic Spot Near Denver?